Geoff graduated from the University of Western Australia in 1984. He completed his Nuclear Medicine Physician training in 1991 and a one year Nuclear Medicine Fellowship at the University of Michigan in 1992. Geoff worked as a Nuclear Physician at Sir Charles Gairdner Hospital from 1993 – 2007 and joined Perth Radiological Clinic in 2003. 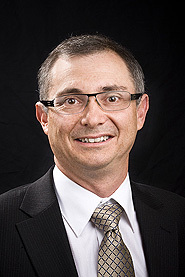 Currently he is Deputy Chairman of the Radiological Council of WA.